Kettlebell classes are open to the public. The workouts change focus weekly from Stability, to Mobility, to Strength. This is a great start if you’re new to kettlebell training or you want to test your skills in a group setting. You’ll learn new techniques and take your kettlebell training to the next level! Our one-on-one personal training where you’ll get personal attention in a private studio setting! It’s a complete personal training solution that can help you overcome common obstacles and set you on the right path to achieving better health, a better body, and an overall better quality of life! Our interactive online workout series that consists of our KettleCorps Trainer Certification, our Fundamental Fitness Challenges, and our KC On Demand videos. There’s literally something for everyone in there. Get in shape and challenge yourself with the best in the business! VirtualCorps is our online video library of kettlebell, bodyweight, and nutritional programs. There are endless program options to fit your needs, help you lose weight, tone up, and get in great shape! Kettle Corps combines Stability, Mobility, and Strength for the complete fitness solution and can give you a smoother approach to your kettlebell training! We use a dynamic training strategy known as HILIT (pronounced Highlight), which stands for High-Intensity Low-Impact Training. KettleCorps offers you a safe way to train your muscles and joints to perform high intensity exercises in a low impact setting. Intimidated About Using Kettlebells? – Do you feel hesitant to try kettlebells? Don’t be! We’ve unlocked the code to help you learn and perform with kettlebells safely while getting a great cardio workout. 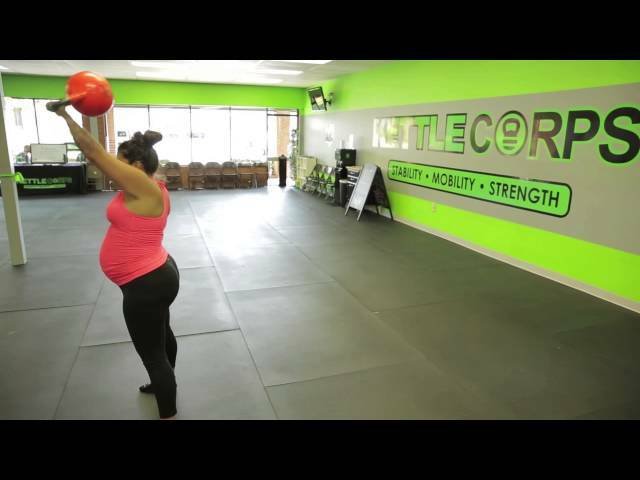 Let us show you the KettleCorps difference! Hear what our members have to say about KettleCorps! They will give you an in depth look into our community and signature kettlebell program from their own experiences! I've had nothing but a great workout experience. Jason and John are very encouraging and great trainers. I'd recommend them to anyone looking to become stronger and embrace a challenging workout. Good jumpstart Program for beginner like me and Competitive workout for experienced.Great energy from instructors Jason and very supportive members. Fat burning, Resistance training moves,Strengthen your core and muscles and Enhances your balance and flexibility. I know all these postive review will make you suspicious but You will end up writing review like me after guaranteed quality work out satisfaction. Support your local business and try the first class for Free. Good luck🍀☘🍀 with your journey of Healthy Mind and fit body ☺ 2018. Great trainers. Awesome! I like the personalized instruction that the trainers provide to the group. It's an energetic & fun atmosphere too. Love it! . KettleCorps offers a variety of workshops where we teach different elements of the Smoothstyle techniques so you can learn how to properly perform each move with perfect technique. Burn twice the calories in half the time using our proven KettleCorps workout plans. Workouts can be used anywhere you can use a kettlebell! Our certified trainers care about you, your results, and your health journey. To stay up to date on the latest Kettle Corps exercises, videos, discounts, and news. Subscribe to our newsletter below.